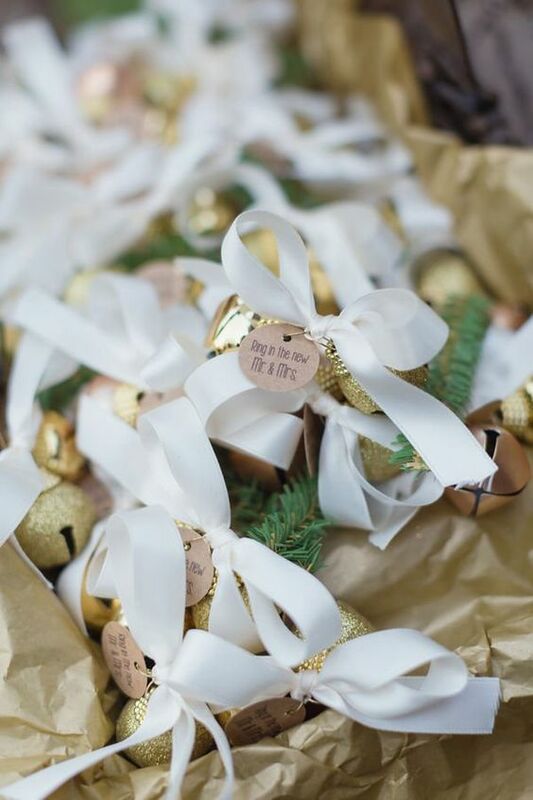 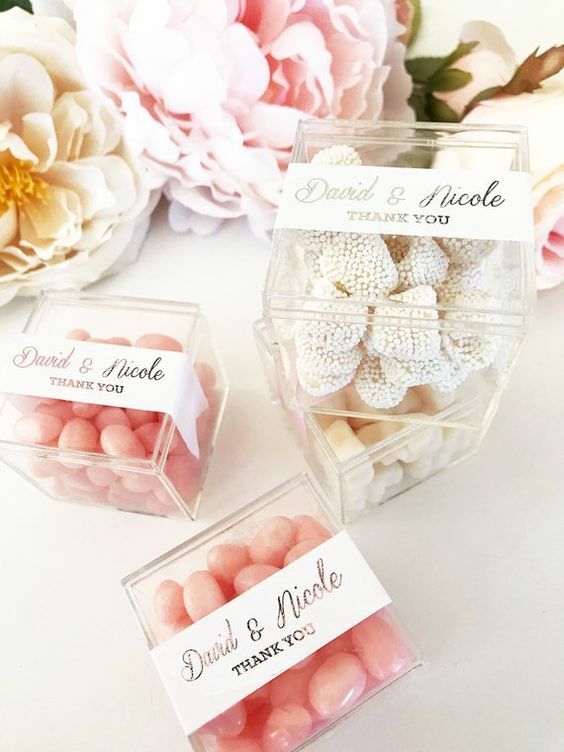 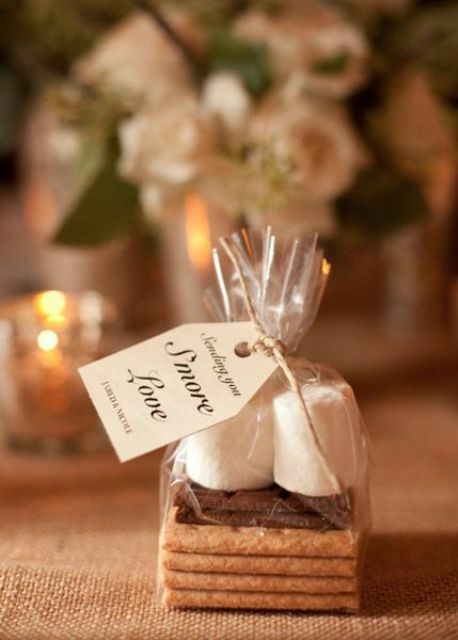 Wedding favors will be a sweet touch of care and love for your guests, and if you are planning a Christmas wedding, you can embrace the season and holiday with them. 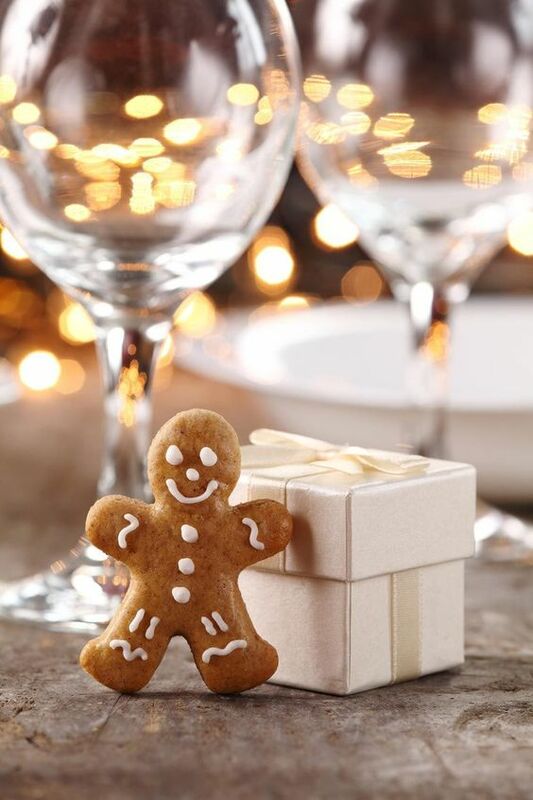 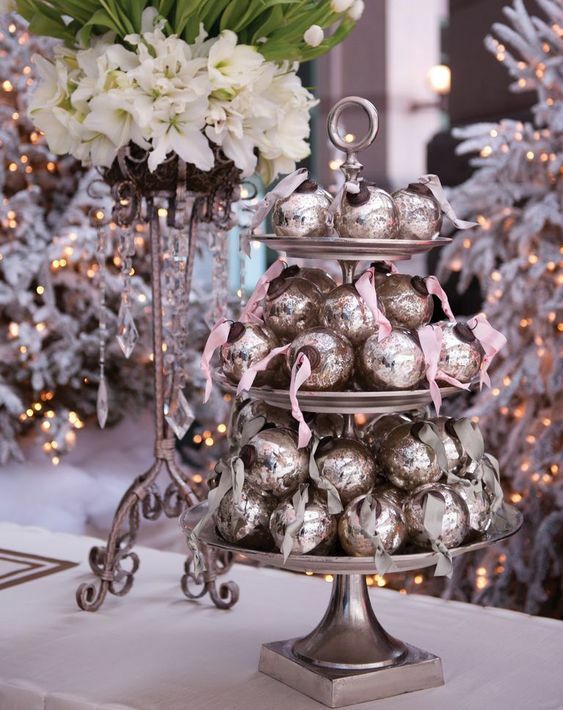 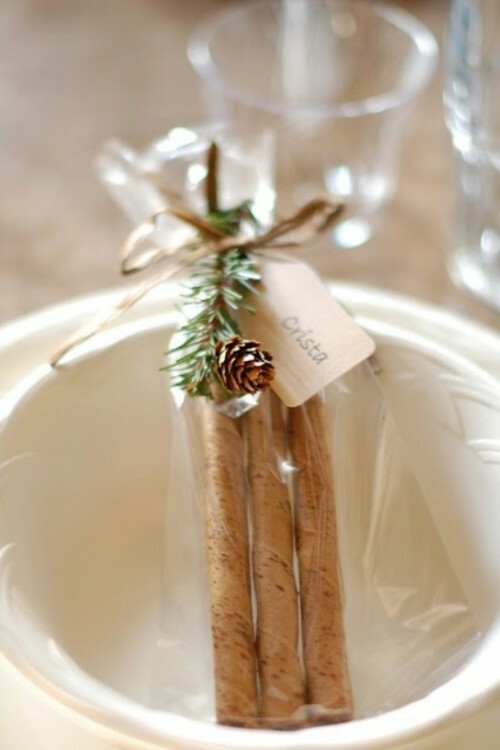 Bring the real magical spirit of Christmas to your wedding with amazing favors. 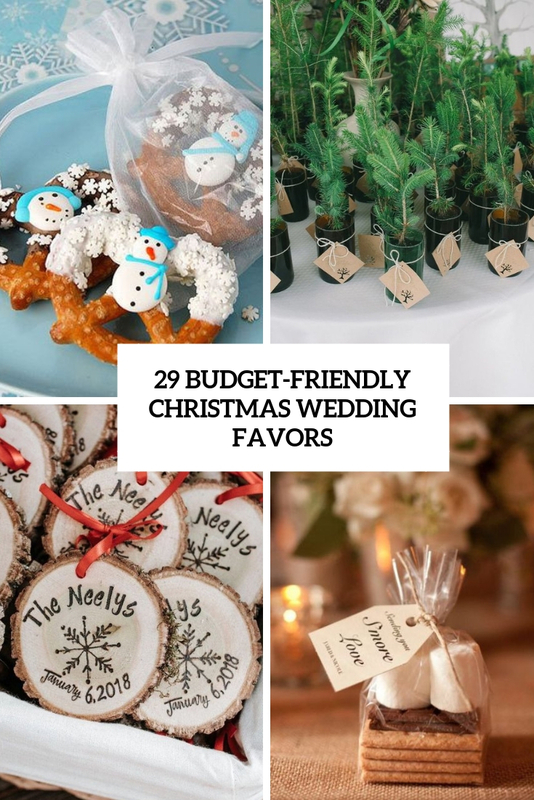 Here are some budget-friendly and cool ideas! 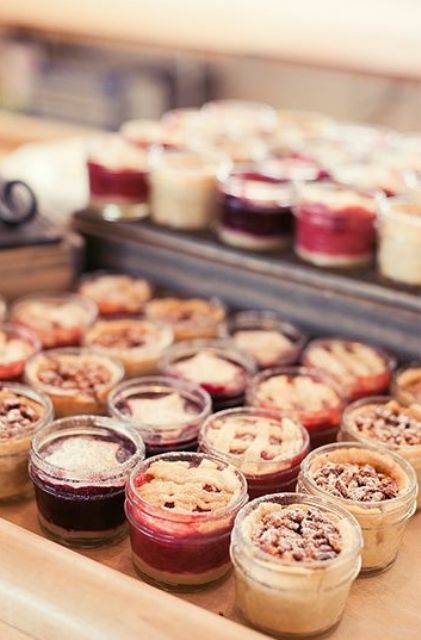 Food and drinks will always work, for any wedding, any season and theme, all your guests will be happy with them and most of them are very budget-friendly, especially if you make them yourself. 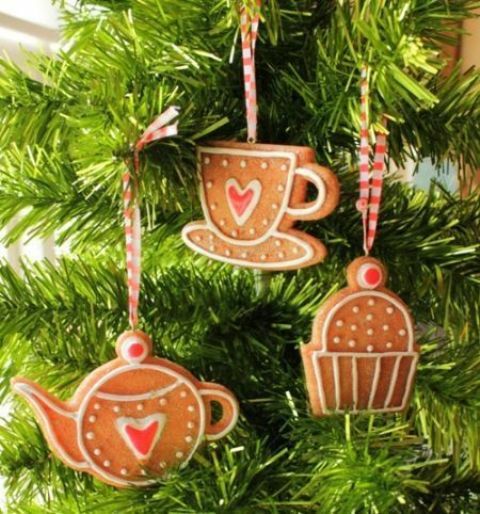 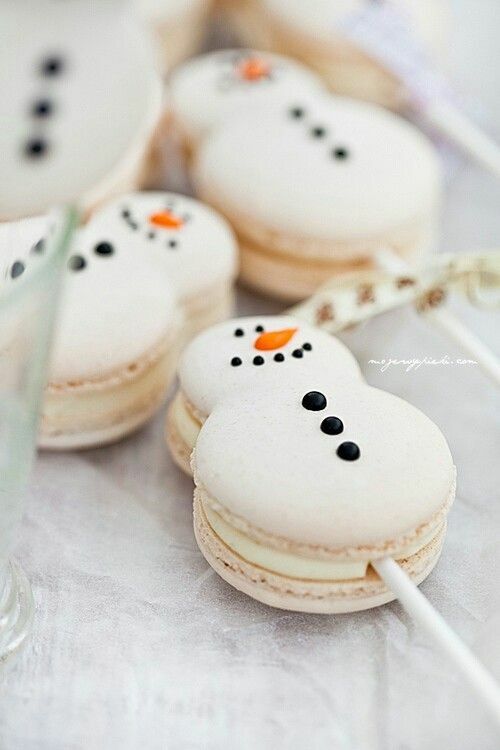 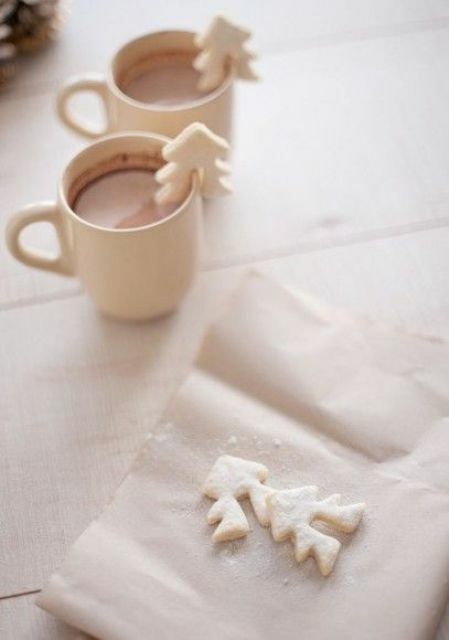 As it’s Christmas, think of pretzels, cookies and macarons that remind of this amazing holiday and just winter. 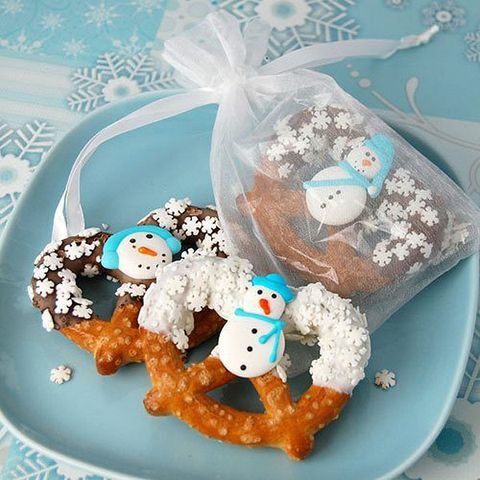 These can be snowman, bird, jingle bells, Christmas tree shaped pieces with peppermint bark, confetti and other stuff. 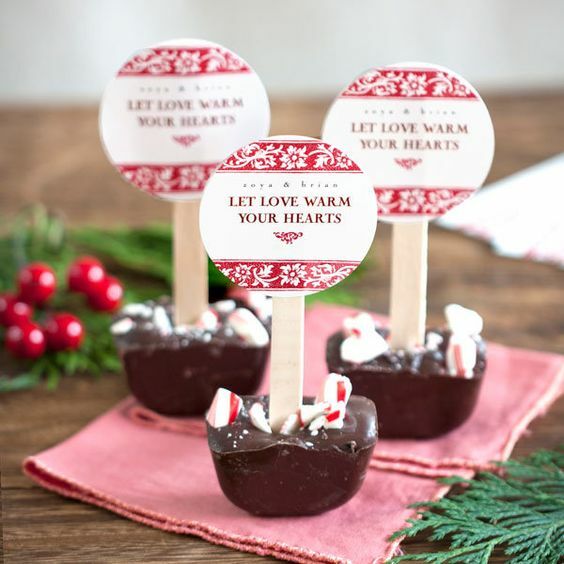 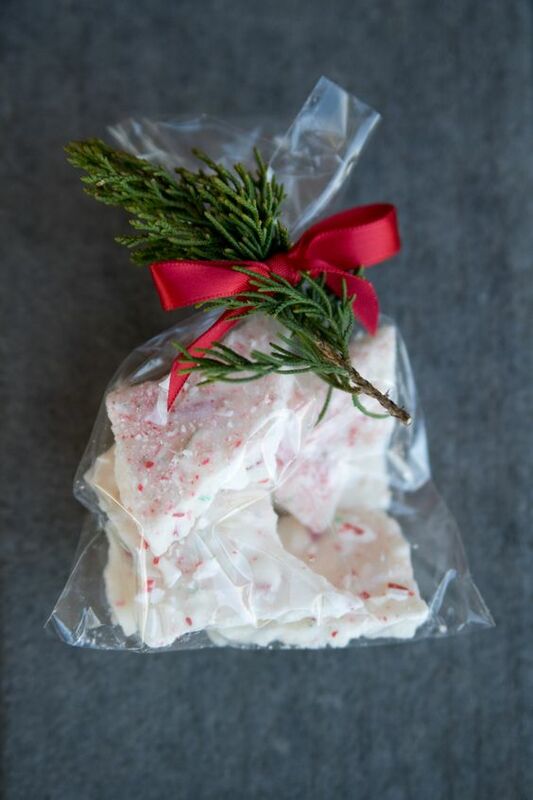 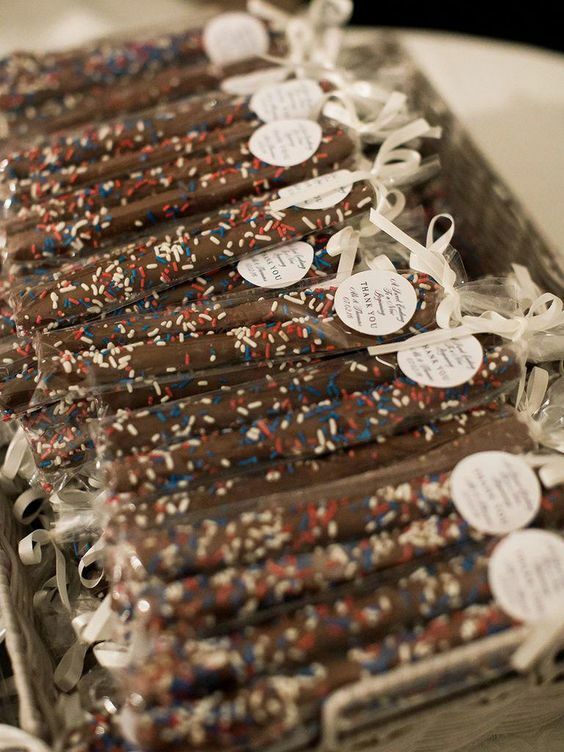 Candies, all kinds of chocolate, peppermint bark in individual packs are welcome to make your guests happy. 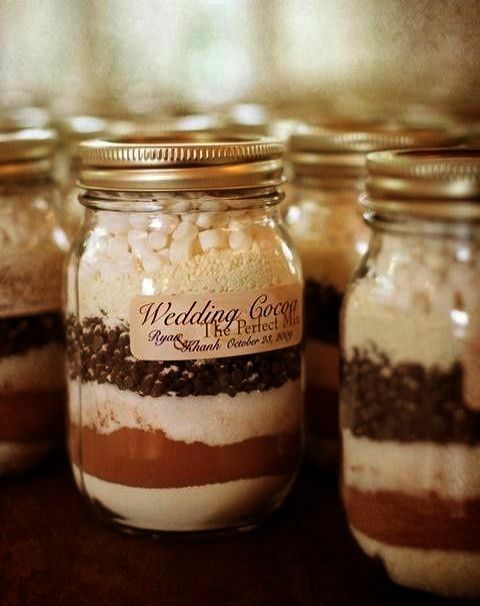 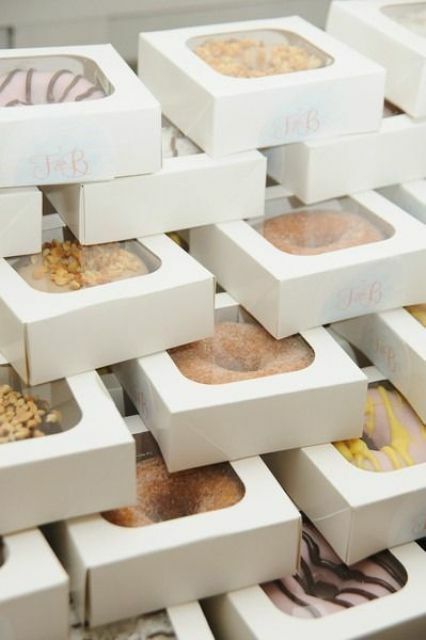 Serve cocoa jars, cinnamon bark, pies in jars or glazed donuts. 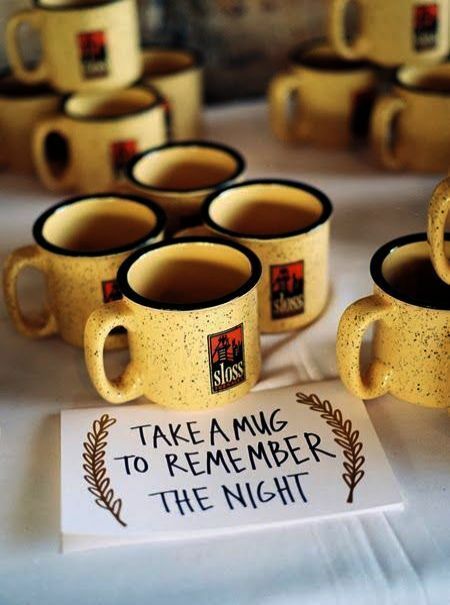 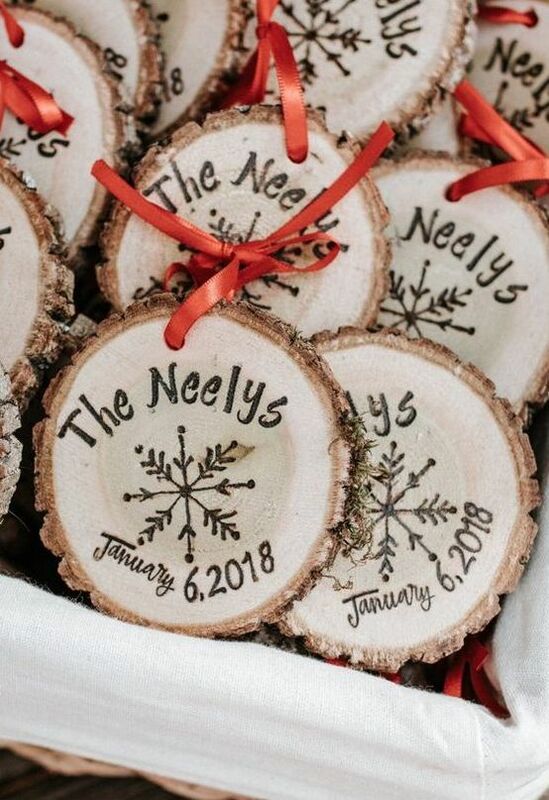 Alcoholic wedding favors are also nice if there are no kids at the wedding. 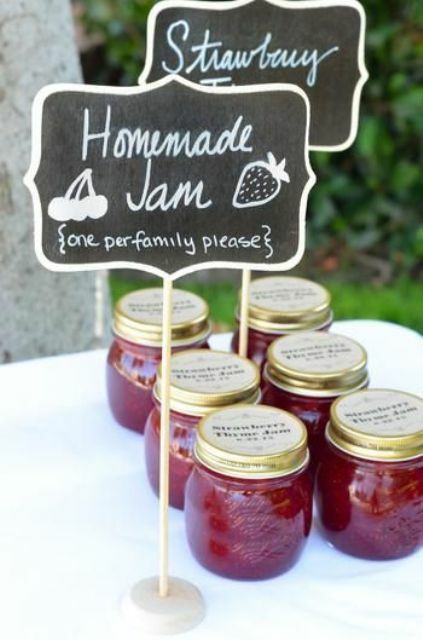 If you are still uncertain but have some cooking skills, DIY some amazing fruit and berry jam and serve it in every jar. 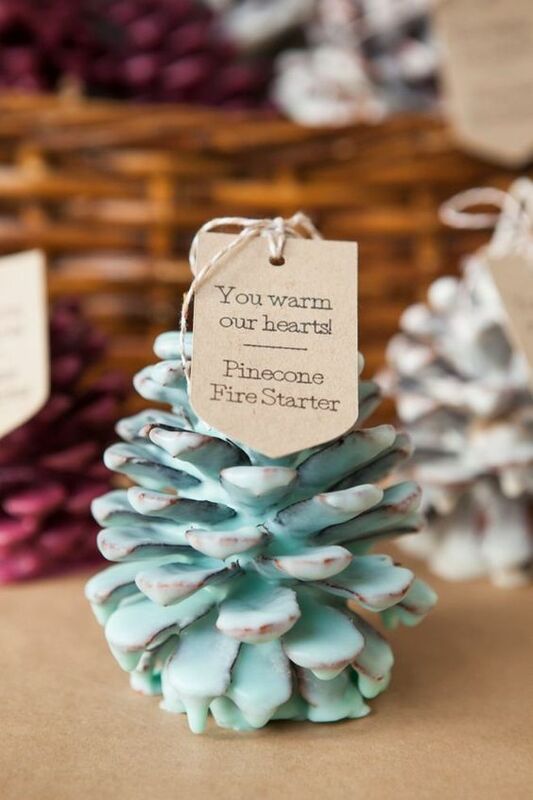 Think of making some Christmas ornaments – ball ones or wood slices where your wedding date and names are burnt. 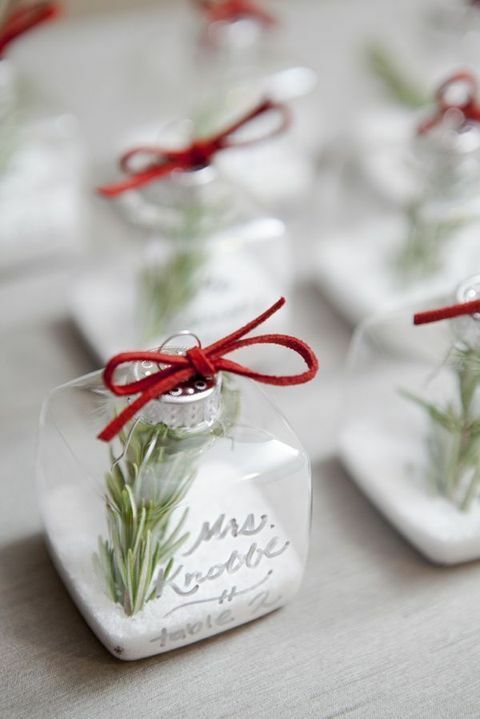 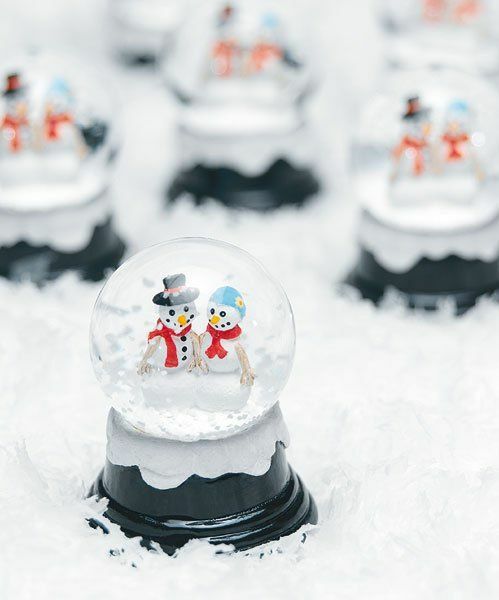 Fill clear ornaments with fake snow and evergreens and glitter your wedding date on them. 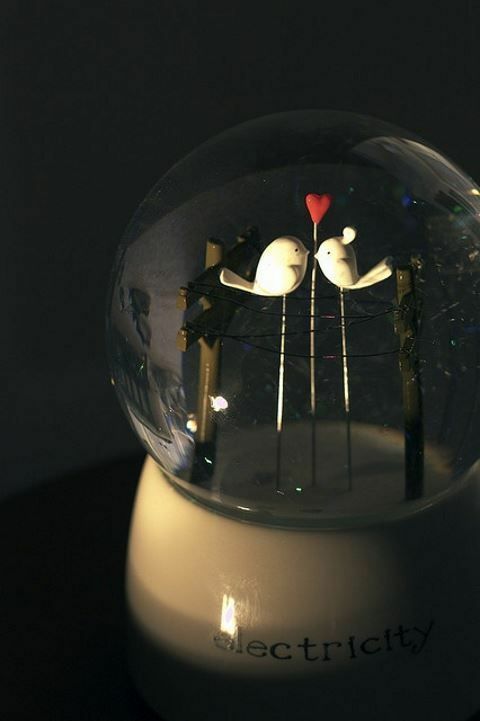 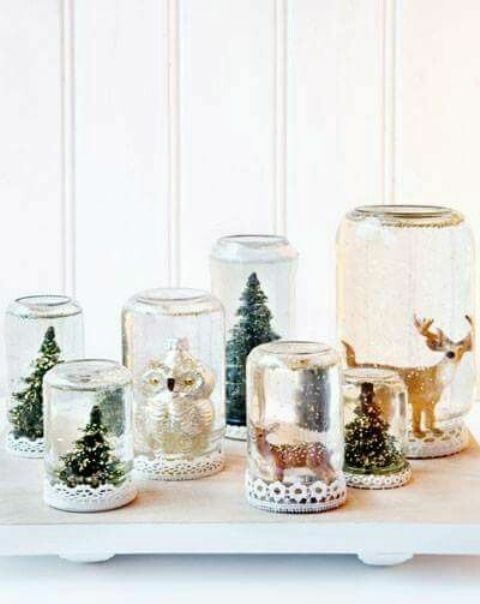 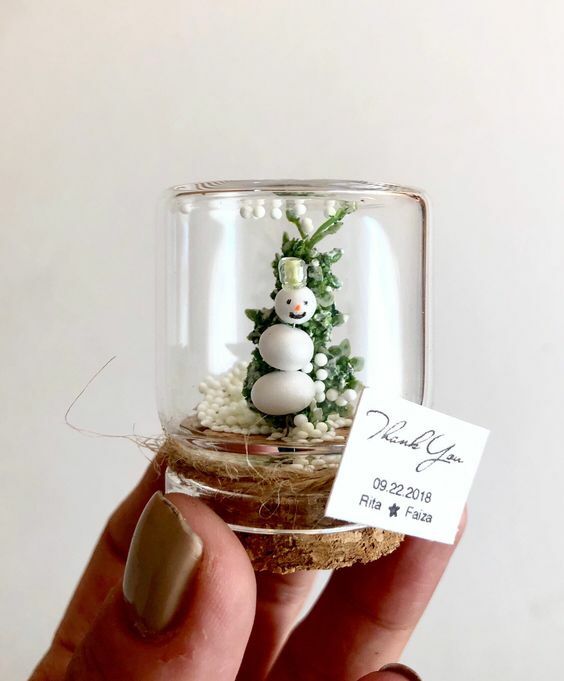 Jingle bells, snow globes are traditional for Christmas, and you can make the snow globes yourself. 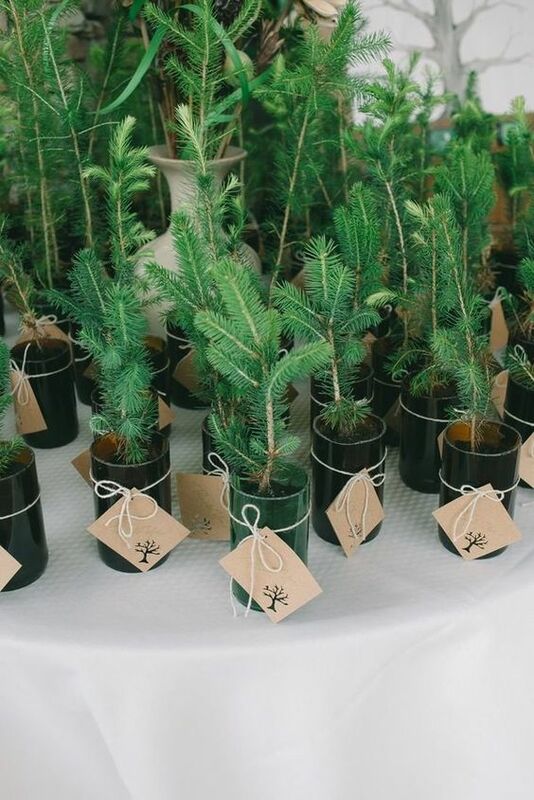 Plant some baby trees in pots and present them to your guests to let the love grow! 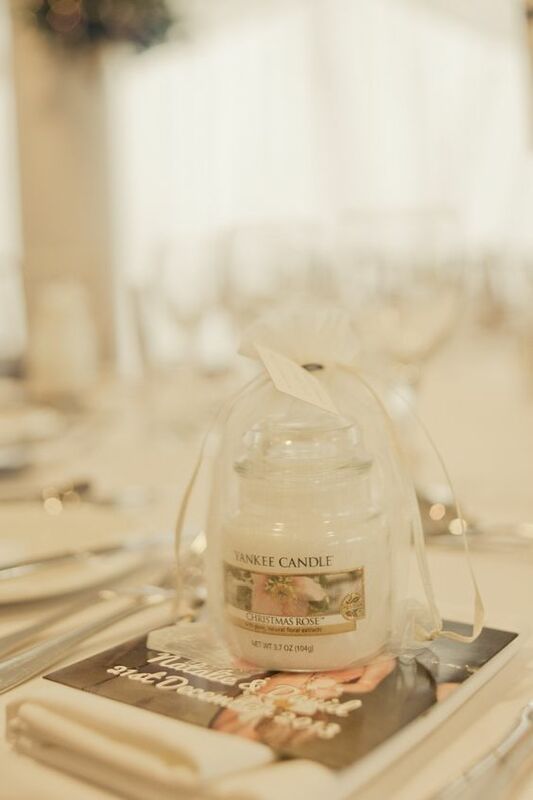 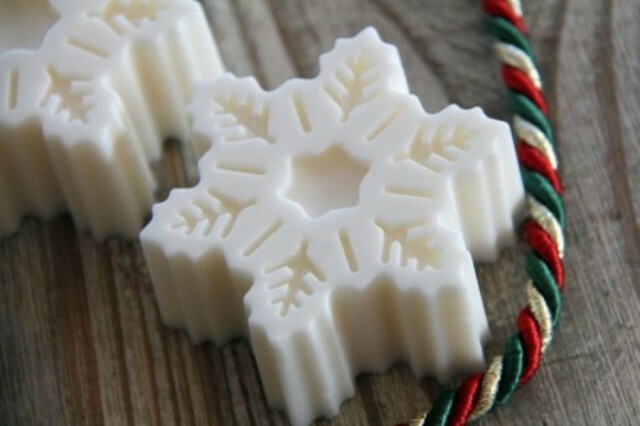 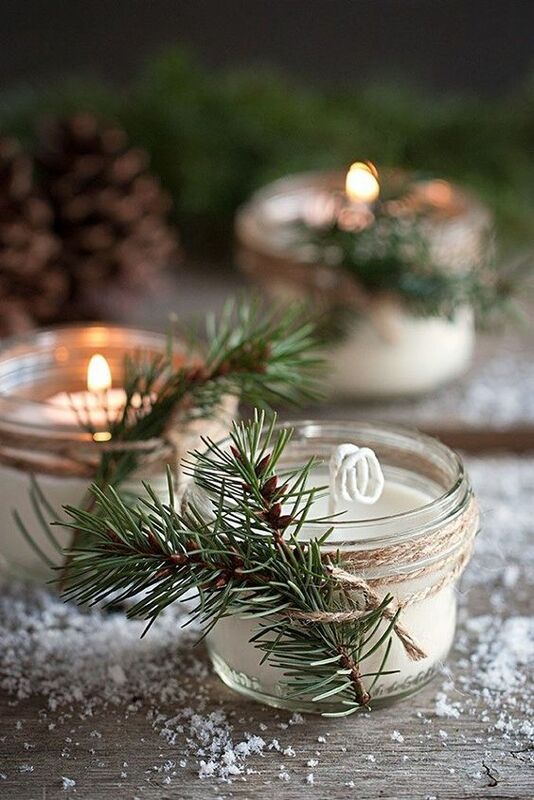 Make or buy some Christmas scented candles, soaps or mugs and let your guests enjoy!